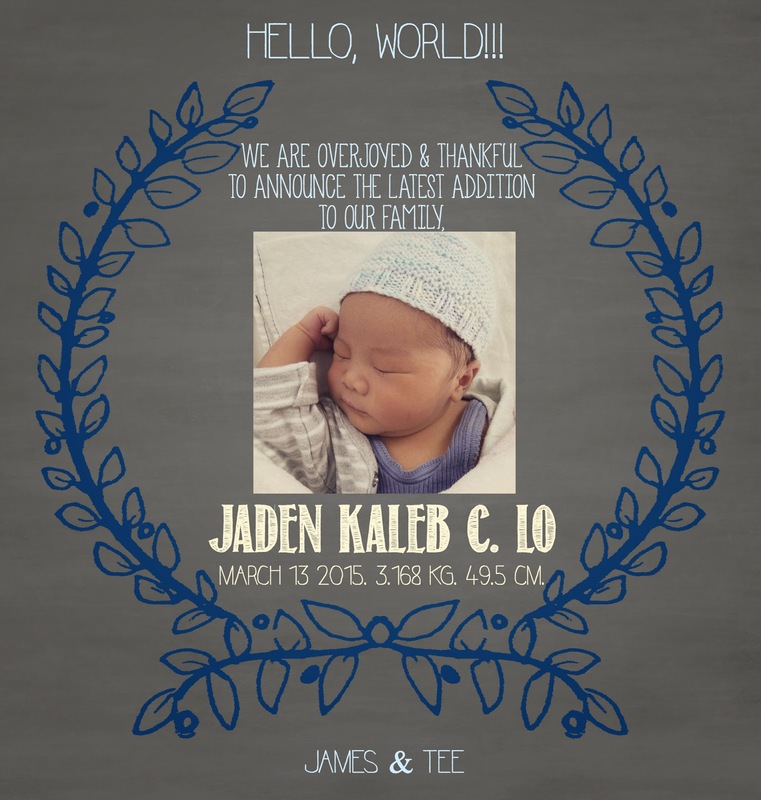 Tee's Blurbs: He's finally here! Our little man is finally here! Looking at him, finally seeing him and touching him brings waves and bouts of reminiscence on how it all began. I remember J and I praying for a baby. I remember just knowing I was pregnant even before taking the test or officially missing my period. I remember the 20-week scan when the OB asked if we wanted to know the baby's gender. In this part of the world, it's fairly common for parents to want the gender to be a surprise, so OBs have to ask before they tell the parents just to be sure. J and I wanted to know for sure, we just couldn't wait! When the OB said it's a boy, J was so ecstatic and I was all smiles because deep in my heart, I just knew it'd be a little boy. I was right all along, ha! It was something in my heart and gut that I cannot explain, I just knew for sure and there was no doubt in my mind about it. Fast forward to the next months of preparing and playing the naming game with J. Naming a child is a tedious business! We wanted something meaningful, at the same time, something the little one would not hate us for the rest of his life. And it has to match our surname, and something not too mouthful too. And of course, the sentis that we are, we wanted our initials on his name, because he, after all, is borne out of our love. 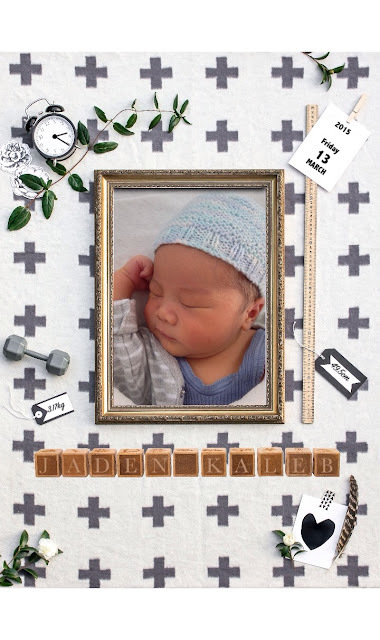 So here he is, our little man, Jaden Kaleb. Jaden - "One who is thankful to God; God has heard." It is our prayer as parents that God guide us into becoming good and God-fearing and loving examples to the little guy and that He will become a child who true to his namesake, loves God with all of his heart. While J & I are still normalizing our lives and routines, my birth and labor story will have to be another lengthy blog post. We are indeed so thankful and blessed to have this little guy in our arms.